If bathing is starting to become difficult or painful, it may be time to consider a mobility bathroom, by installing an easy-access shower, disabled shower or a walk-in bath. We understand that maintaining your independence in your own home can greatly improve your quality of life, and that being that’s why our mobility bathrooms enable you to bathe in safety and without the help of a support-worker, is one of the most important ways of remaining independent. 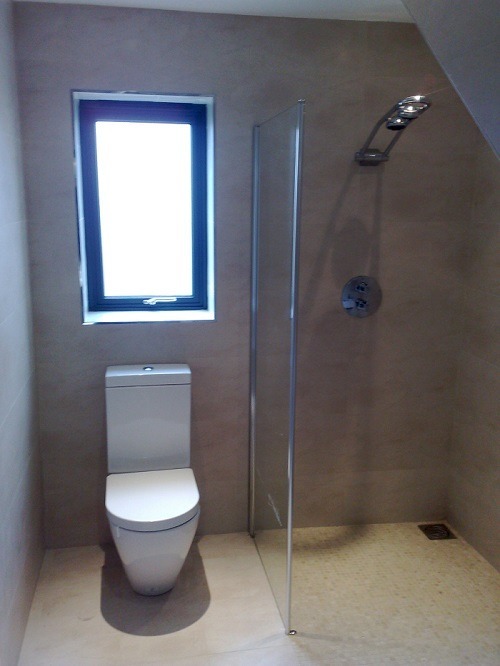 Wet rooms offer a very modern alternative to the standard enclosed shower tray. They offer the ultimate in accessibility and safety whilst retaining a very stylish look. A terrific addition to any modern home, and extremely suitable for those requiring easy access. Our easy access walk in showers are designed to be fully accessible for all mobility levels, whilst retaining a very modern and stylish look, allowing you to enjoy all the benefits of showering without compromising on the look or feel of your bathroom. All our low access showers and disabled showers come complete with shower seats and grab rails (if required). We also supply and fit a range of high quality yet affordable walk-in baths. All of our walk-in baths come with a range of special safety and comfort features and you can be assured of receiving a fair price, full warranty and impressive after sales care. Whatever your requirements, Stile-It are experienced at designing and installing special care bathing facilities to help maintain your independence.